Awesome! I am looking forward to further development and additions! If I might make a suggestion, you should add a button or keyboard shortcut for displaying block reservations without editing, as apparently the only way to display block reservations is with the clearing tool enabled. In Pak128.Britain-Ex, it is possible to toggle block reservation display without having to keep the clearing tool active by pressing Shift+B. Thank you for your playing pak256-Ex! Rollmaterial --- I will add the tool in next update! This is really great! I only had a very quick look at it, and I noted that you, besides excellent graphics, also heavily have modified the menues. I must say I really like the approach you have taken, especially when taken into consideration the potentially many new extra signals that "Extended" has brought with it. Lookig forward to playing a map with it! You should talk with james, and make the pakset available via the nightly download. Then you dont have to do releases as such (you still could announce whenever you make changes), and you make sure that every player always have the latest version of both pakset and executer. 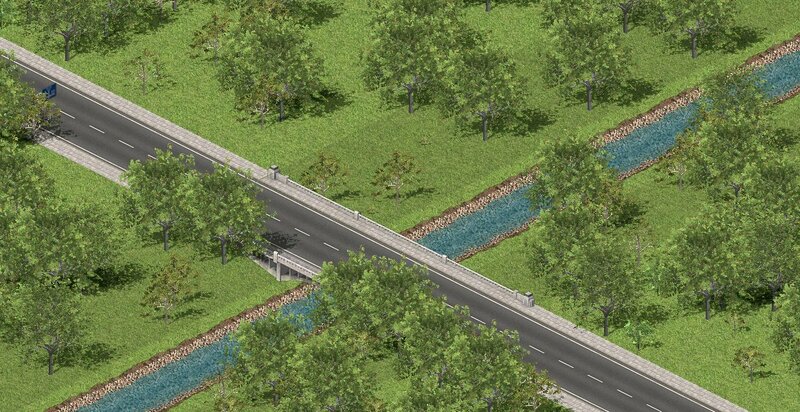 It would also spread the pakset out to basicly all players currently engaged in Simutrans Extended automatically. Ves --- Thank you for playing and suggestion, it is really grateful. As you know, this pakset is managed using github, so incorporating to nightly build might be not so difficult. If the pakset is incorporated, I would like to have another board for pak256-Ex in this forum, like 128.Britain-Ex and 128.Sweden-Ex, in order to support you. Additional information for pak256-Ex --- This pakset contains a new theme for Simutrans. This pakset contains a new theme for Simutrans. For reference: Theme support in Extended is currently behind that of Standard, but I hope to bring that up to date over the next year. Could it be built from sources like pak128.Britain-Ex or pak128.Sweden-Ex? Currently we do not supply any sources since they are dirty directory structures and there are a lot of unnecessary/unused items. After cleaning up, we will supply the sources. Otherwise it looks very nice. I shall try it out soon. Recent works --- they will be available in the next update. This actually looks really good and sounds good. But my question to you is, will you guys be making a Britain pakset like this (bearing in mind that theirs still a lot of work to be done with this pakset)? mammothim-san — We do not plan to convert our add-ons for pak Britain because of difference of scaling and textures. For vehicles, we can convert it for Britain/Sweden paksets, but it may causes mismatch of design. Recent works -- Runway, Taxiway, and YS-11 aircraft. Is the pak available in Spanish? I have just been looking at this - this is very interesting, and my apologies for not having got around to looking into this earlier. It would be splendid to be able to set up nightly builds of this. To do that, I will need the sources in a Git/Gighub repository, and a makefile set up for automated building. I notice that the repository contains the compiled binaries rather than the sources. If there is a repository for the sources, please let me know where it is so that I can set up the nightly builds. I do love the graphics, interface and sound in this set and it will be splendid to be able to offer this for download in addition to the British and Swedish paksets. 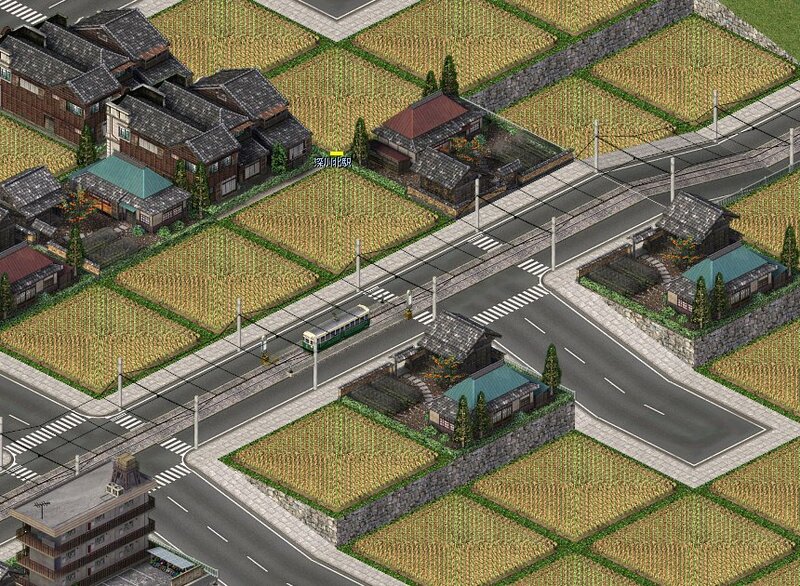 I know that Simutrans is popular in Japan, so this will be an excellent addition. Michell92-san — Welcome to Simutrans forum! Currently only English and Japanese translations are supported. Sorry, I do not know Spanish language so probably hard work to create Spanish translation files. jamespetts-san — Thank you for your suggestions. However, this pakset is still incomplete, which means there are some missing waytypes. so we cannot provide the source now. 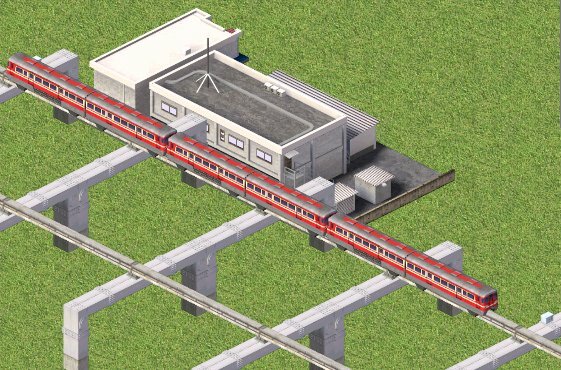 The source will available after completing of waytypes, narrowgauge_track and air. Splendid, thank you for letting me know. It is excellent to see this progressing. Do let me know when the sources become available so that I can start producing nightly builds. This is the update release of Pak256-Ex 1.1.0! Look forward to aircraft and narrowgauge feature, they will be available in the next update 1.2.0. We are making some objects for the waytypes. EMU will be available after the next update. Maybe you have some missing menuconf.tab setting, so please replace your menuconf.tab in pak256-release/config directory with attached file. Or you can use 'a' shortcut key for inspection tool and 'r' shortcut key for remove tool. The aircraft feature is not available currently --- you will be able to use it after the next update. Thank you. Hi airport still not available right ? Now we are working on narrowgauge. Kusakaru electric railway -- narrowgauge carriage.